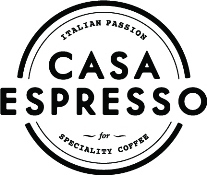 Casa Espresso, based in Shipley, West Yorkshire is a commercial coffee bean and machine supplier. We supply coffee beans to a whole host of Yorkshire based café’s, restaurant and bars offering them a variety of bean options including the Fairtrade Blend. Demand for Fairtrade Coffee is certainly rising as retailers are becoming more aware of the positive benefits that being part of this friendlier supply chain can have on the world.